Although Arp introduces the conventional interpretation of redshift through the Doppler effect, strictly speaking this does not apply to redshifts in an expanding universe. As various authors have pointed out,2–5 a cosmological redshift measures the expansion of space between light source and observer while the light is in transit; fundamentally it has nothing to do with velocity. If the expansion is smooth in time, such a redshift is proportional to velocity; individual galaxy motions (e.g. due to orbiting in the gravitational field of a group of galaxies) will add a positive or negative Doppler shift. Arp uses either measured redshift values (pure numbers, represented by the symbol ‘z’)6 or velocities given by ‘cz’, where ‘c’ is the speed of light. This practice does not affect the force of his arguments. Arp suggests that the Hoyle-Narlikar theory of conformal gravity can be used to synthesise the observations he has presented. He explains that this is more general than the ‘normally used’ theory in that particle masses can vary in space and time. Applied to quasars ejected by galaxies, the idea is that new matter emerges into our universe in active galactic nuclei, where Arp suggests there may be white holes rather than black holes. This does not appear to be creatio ex nihilo in the biblical sense, but rather the transformation of energy into matter.8 The postulated new matter has zero mass and very high redshift. It is then ejected, and increases in mass and decreases in redshift. Arp suggests that redshift quantization might have a natural explanation in terms of this approach. How valid is Arp’s view of the universe? 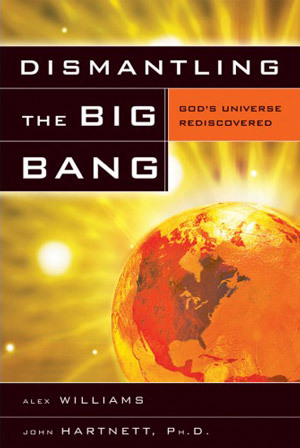 He calls his cosmology ‘Quasi Steady State’ (Seeing Red, p. 238), and does not recognise a beginning in time. We reject this ‘timeless’ aspect, which does not derive from observation, and which conflicts with Scripture (Gen.1:1). Although Arp’s explanation of the general redshift-magnitude correlation for galaxies in terms of the Narlikar theory gives a ‘good’ value for the Hubble constant, we regard this theory as sub judice pending investigation of the primary literature. However, his picture of a universe populated by galaxies born in a cascade of ejections of high-redshift quasars from active galaxies seems empirically well-founded. It raises numerous questions worthy of further investigation, both observational and theoretical. To ignore the observations he has put together would seem indefensible. We must recognise that any scientific description of origins is at best incomplete. It is wise to recall God’s salutary words to Job: ‘Who is this that darkens my counsel with words without knowledge? … Where were you when I laid the earth’s foundation?’ (Job 38:2–4, ESV). In quoting astronomical ages measured in billions of years we are not implying that we accept them as real. However, Humphreys (Ref. 4 & 17) has suggested how such apparent time scales could be consistent with an age for the earth of only a few thousand years and, in particular, with creation of the stars on the fourth day of Creation week. Return to text. Odenwald, S. and Fienberg, R.T., Galaxy redshifts reconsidered, Sky and Telescope 85(2):31–35, 1993. Return to text. Clark, S., Redshift, Hertfordshire University Press, 1997. Return to text. 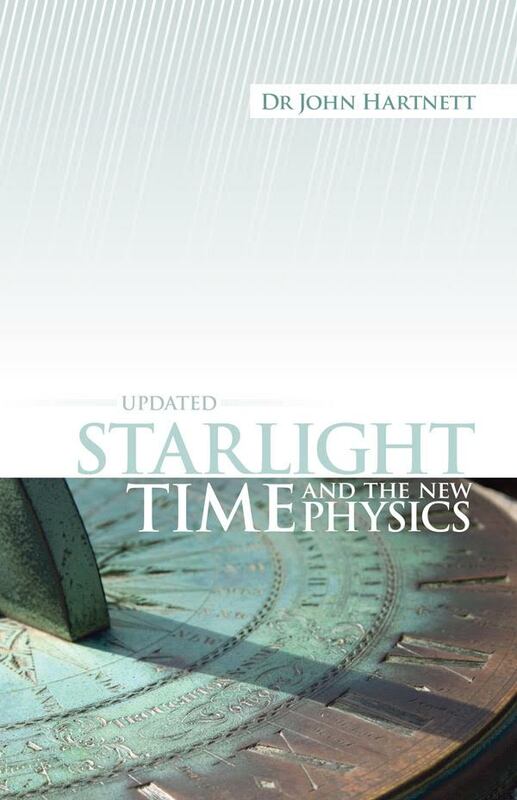 Humphreys, D.R., Starlight and Time, Master Books, 1994. Return to text. Gribbin, J. and Rees, M., Cosmic Coincidences: Dark Matter, Mankind and Anthropic Cosmology, Black Swan, 1992. Originally published as The Stuff of the Universe, Heinemann, 1990. Return to text. The redshift variable z, which measures the fractional change in wavelength (z=Î”Î»/Î»), may take values between –1 and +infinity. Thus if z = 1.0, for example, observed wavelengths are double their corresponding laboratory values, while if z = –0.5, wavelengths are half their laboratory values (and the light source is blueshifted), and so on. If redshifts are interpreted in velocity terms, the corresponding velocities must in general be derived using the equations of special relativity as described by Clark (Ref. 3). Return to text. See Snelling, A.A., Galaxy-quasar connection defies explanation, CEN Tech. J. 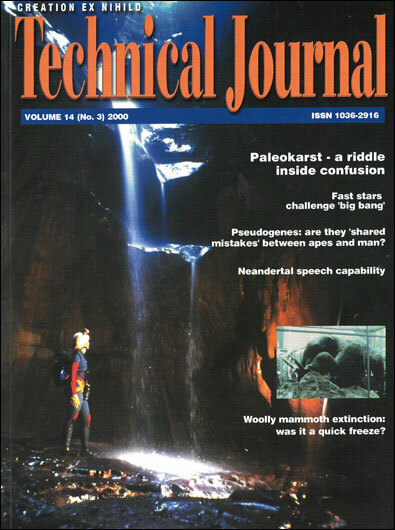 11(3):254–255, 1997, and the cover picture for Quasars, Redshifts and Controversies reproduced with this review. Return to text. The transformation of energy into matter is commonly observed in particle physics laboratories, e.g. gamma-ray photons of sufficient energy (at least 1.02 million electron volts) passing close to atomic nuclei can be transformed into electron-positron pairs. In the case of particle production by a mechanism of this general kind in a galaxy nucleus, the ultimate energy source must be the gravitational field. Return to text. Gribbin and Rees, Ref. 5, p. 40. Return to text. Seyfert galaxies were discovered by the American astronomer, Karl Seyfert, in the 1950s. 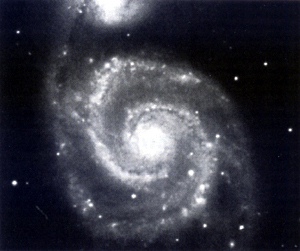 They are essentially spirals with particularly bright, sharp nuclei with emission line spectra indicating a very high rate of energy release. They are strong X-ray sources. Return to text. BL Lac objects are named after a starlike object (BL Lacertae) that bears a variable star designation because it was once thought to belong to the Milky Way. They are very similar in appearance to quasars but have much weaker spectral lines. They are generally strong radio and X-ray emitters and vary considerably in brightness. Return to text. 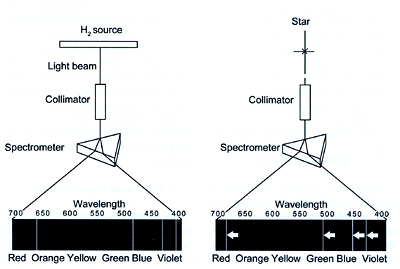 According to standard stellar evolution theory, bright blue stars are relatively young. A simple introduction to the subject of stellar evolution may be found in Meadows, A.J., Stellar Evolution, 2nd ed., Pergamon, 1978. Return to text. The galaxy clusters considered by Arp are listed in the Abell catalogue and are hence often referred to as ‘Abell clusters.’ Return to text. On being shown Fig. 1-1 of Seeing Red and asked to suggest what might have happened, the 11-year old daughter of one of us (WJW) said of the quasars paired across the galaxy centre, ‘They were shot out.’ She knew what quasars were in observational terms, but otherwise knew nothing of what the book was about. Return to text. 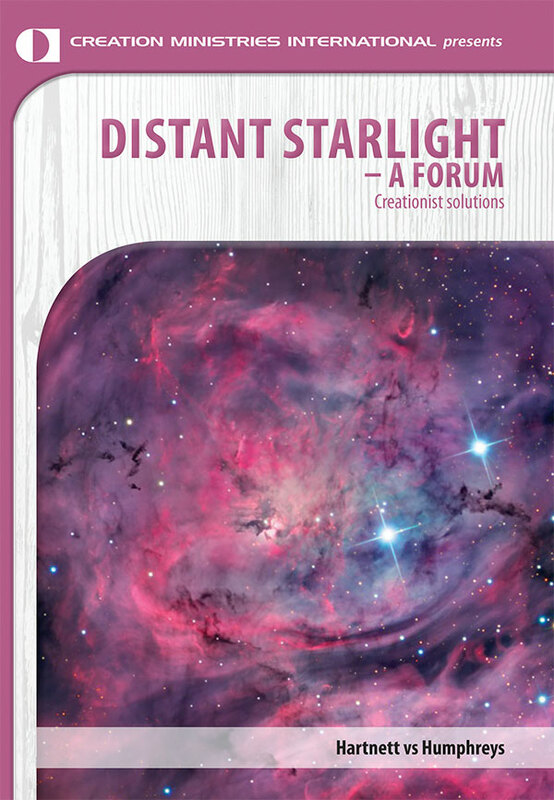 We have some difficulty with this view since thermalisation implies photon scattering, yet the clarity with which distant extragalactic objects can be seen across much of the electromagnetic spectrum implies that the required scattering must be extremely limited. Return to text. Olbers’ paradox is the principle that the universe cannot both be indefinitely old and indefinitely large while containing light sources at a uniform density throughout. In such conditions any line of sight would inevitably end on the surface of a star, and the sky would be ablaze with light rather than dark as observed. 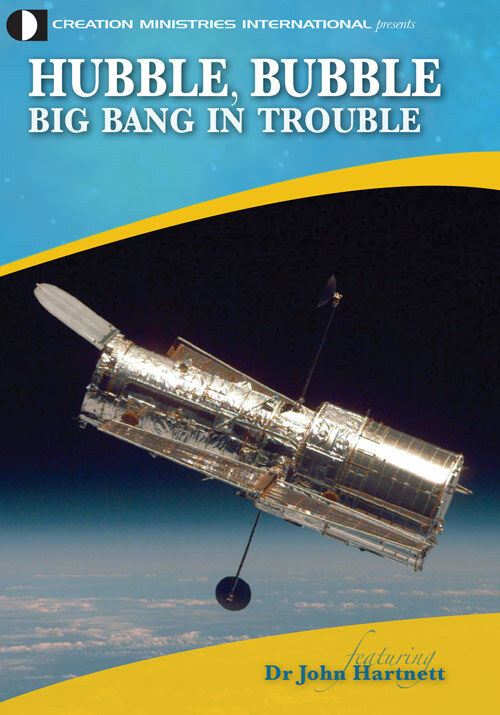 A helpful discussion from a big bang perspective is given in: Wesson, P.S., The real reason the night sky is dark: correcting a myth in astronomy teaching, J. British Astronomical Association 99:(1):10–13, 1989. Return to text. 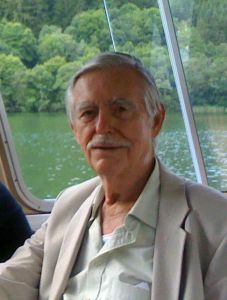 Humphreys, D.R., New vistas of space-time rebut the critics, CEN Tech. J. 12(2):195–212, 1998. Return to text.